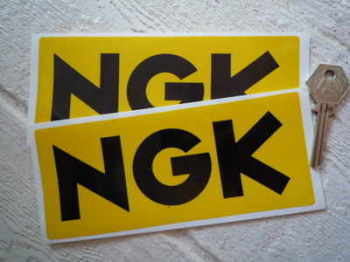 NGK - I Say Ding Dong Shop - Buy Stickers, Decals & Unique Automobilia. 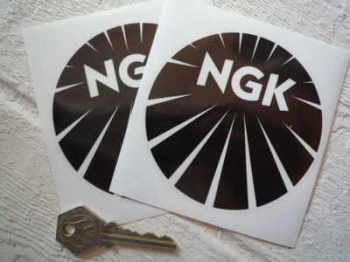 NGK Black & Clear Round Stickers. 4" Pair. 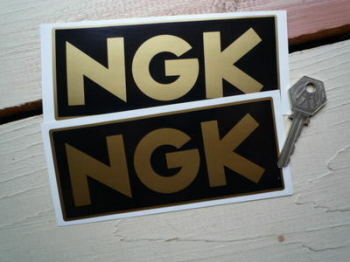 NGK Black & Gold Oblong Stickers. 6" Pair. 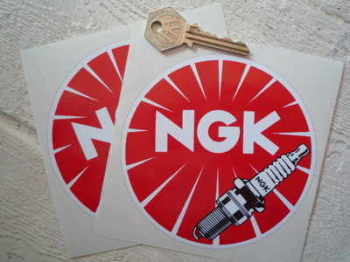 NGK Round Black Spark Plug Stickers. 4" Pair. NGK Round with Vertical Detailed Plug Sticker. 4" x 6". 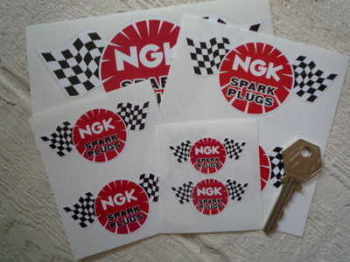 NGK Spark Plug Little Man Stickers. 2.5" Pair. 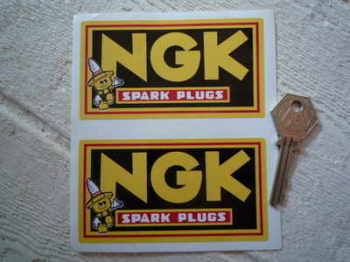 NGK Spark Plugs & Little Man Round Stickers. 2.5", 4" or 6" Pair. 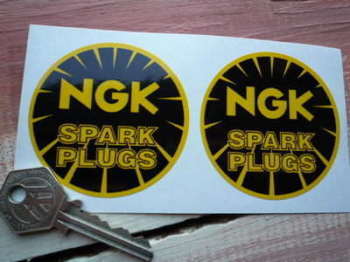 NGK Spark Plugs Black & Yellow Round Stickers. 2.5" Pair. 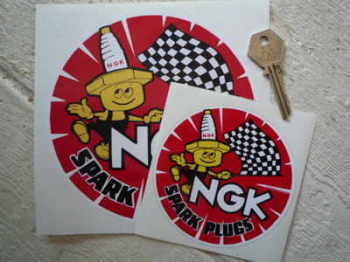 NGK Spark Plugs Chequered Flag Black & Beige Stickers. 4" or 6" Pair. 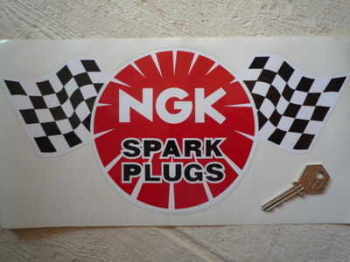 NGK Spark Plugs Chequered Flag Sticker. 12". NGK Spark Plugs Cut to Shape Stickers. 4.5" Pair. 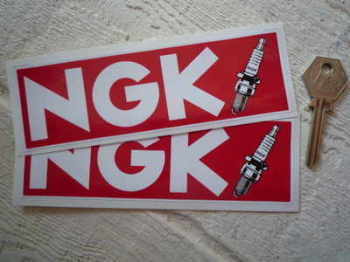 NGK Spark Plugs Little Man Oblong Stickers. No Coachline Style. 4" or 6" Pair. 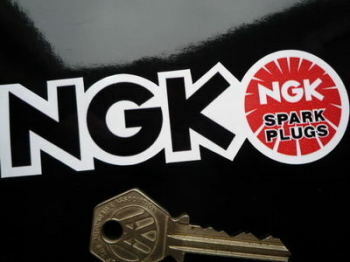 NGK Spark Plugs Round Stickers. 3" or 6" Pair. 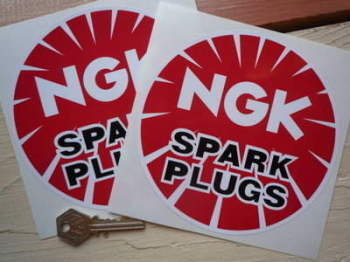 NGK Spark Plugs Round Stickers. 3", 4" or 6" Pair. 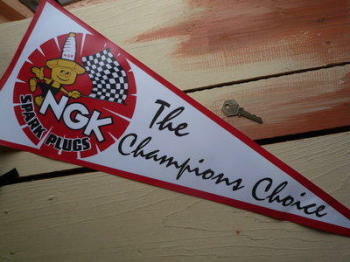 NGK Spark Plugs The Champions Choice Pennant. 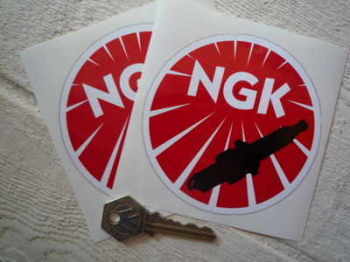 NGK Text Cut Vinyl Stickers. 3.75" Pair.